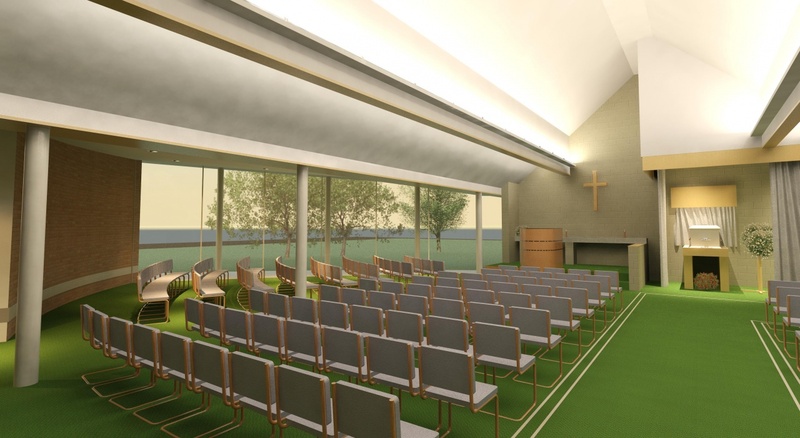 The London Cremation Company, Ltd.
An extension to the main chapel to hold an additional 100 seats, providing a solution for the increasing demand for memorial services where the congregation exceeds the current capacity. 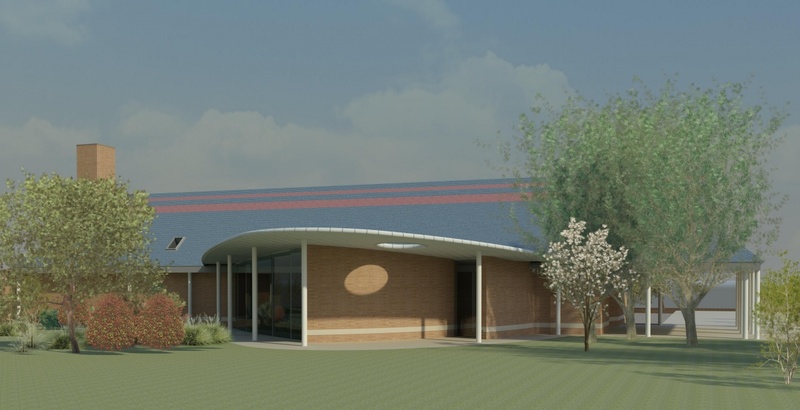 The extension is located on the western side of the existing building, a space which boasts excellent countryside views. 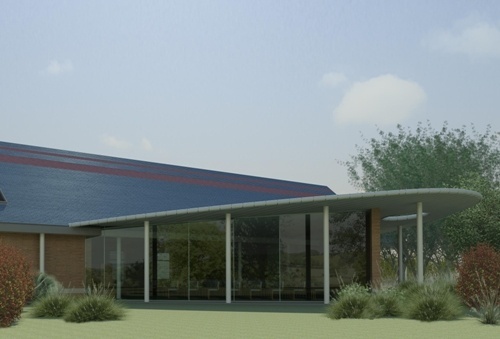 The form of the extension was derived from the need for all of the congregation to be able to sit and face the podium at the catafalque. This led to a fan shape design supporting a flat, tilted roof complimented by floor to ceiling glazing on the western elevation, taking advantage of the views over the countryside.